Let's make one LEGO lover out there EXTREMELY happy this Christmas! 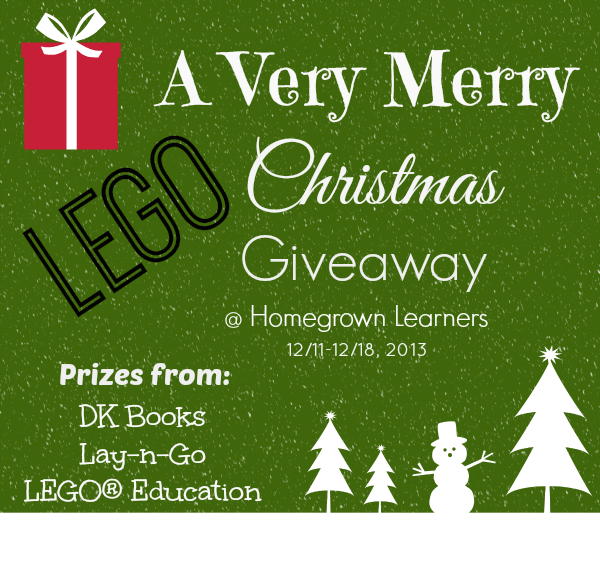 I'm so excited to bring you A Very Merry LEGO Christmas giveaway! Three companies I love are sponsoring this giveaway. 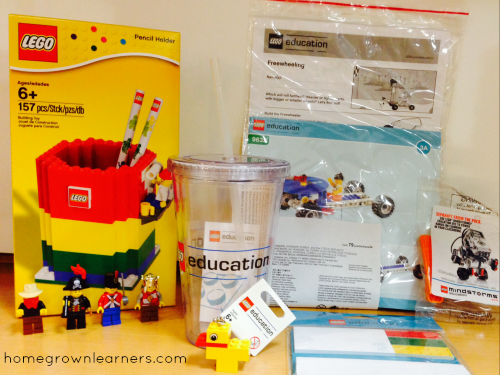 Special thanks go out to LEGO® Education, Lay-n-Go, and DK Publishing! What exactly will ONE LUCKY PERSON be winning? 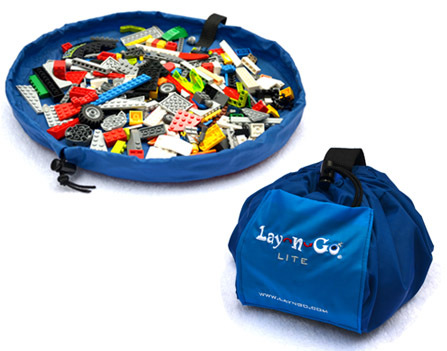 I'm so happy to be introducing you to Lay-n-Go - creative storage solutions for your LEGO bricks. This holds all of your child's LEGOS during play and then easily cinches up for moving to another room or storage. My friends at LEGO® Education are providing you with one brick set - 884 pieces to be exact! Cowboy, pirate, solider, and king minifigure. The total value of this giveaway is $140! Like I said, one LEGO lover will be extremely happy. Please follow the Rafflecopter widget instructions to enter. Please note that only US residents will be eligible to win. Once the winner is notificed (Dec. 19) they will have 48 hours to respond. The prize will be shipped out in the week AFTER Christmas.